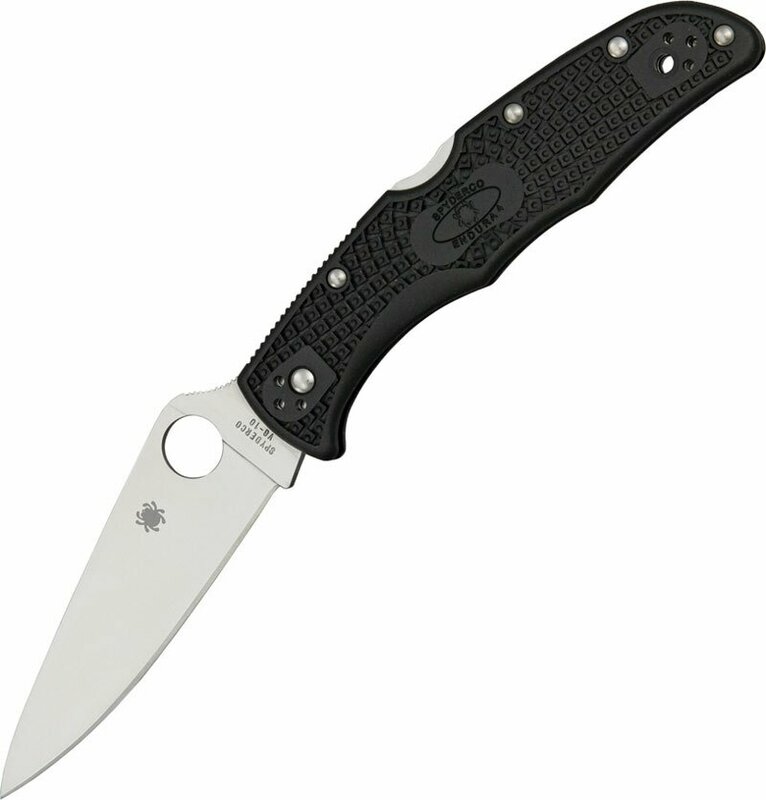 Spyderco Endura 4 Flat Ground FRN Plain Edge(C10FPBK) Knives, throwing knives, fantasy knives, movie knives, tactical knives, hunting knives, etc. All Endura 4 Lightweights are distinguished by their skeletonized stainless steel liners and injection-molded fiberglass-reinforced-nylon (FRN) handles. This version of the design features a full-flat-ground VG-10 stainless steel blade with a PlainEdge cutting edge. This slim, highly refined blade grind creates incredible edge geometry and a distal taper that reduce friction for superior cutting performance. The blade is supported by a sturdy back lock mechanism that locks it securely open when in use yet allows easy ambidextrous lock release.